TDP's Odisha in-charge Rajesh Putra told reporters in Koraput that the TDP will field candidates in 52 Assembly constituencies and five Lok Sabha seats in Odisha. 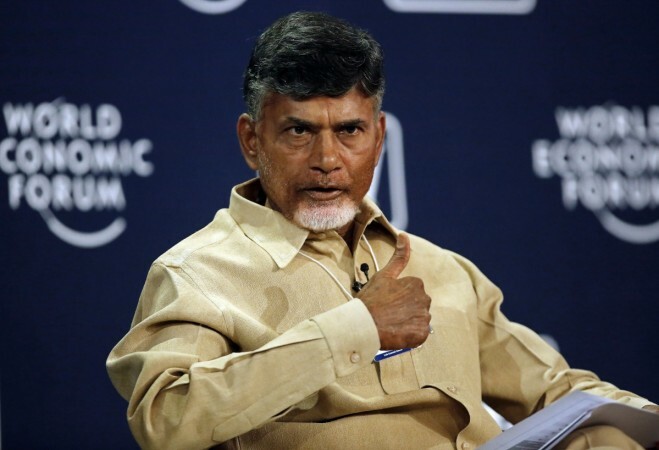 The Telugu Desam Party (TDP) led by Andhra Pradesh Chief Minister N Chandrababu Naidu has decided to contest the Lok Sabha and the Odisha Assembly elections in the BJD-ruled state next year. He said the TDP would like to focus in the southern region of the state where Telugu language is being spoken by the people. The districts where the TDP would field its candidates have been identified as Koraput, Rayagada, Malkangiri, Gajapati, Ganjam and Nabarngpur. Stating that the TDP has a stronghold in these districts, Putra said the party leadership feels that the dense population of Telugu people in these areas might be beneficial to the party. The TDP candidates are likely to contest from Koraput, Nabarangpur, Berhampur and Aska constituencies, he said, adding that another parliamentary constituency will be decided later. He said TDP supremo Chandrababu Naidu will announce the name of the candidates very soon. A primary survey in this regard is underway in 52 Assembly constituencies of the state, Putra said. The party will apprise the voters of Odisha about the developmental activities in Andhra Pradesh, he added. The people of Odisha want development in their state for which the TDP will contest in the upcoming Assembly polls, he said. While senior BJD leader and Minister S N Patro said participation of the TDP in the Odisha Assembly polls will have no impact, Congress chief whip Taraprasad Bahinipati said that TDP candidates will eat into the BJD votes and benefit Congress. On the other hand, BJP leader Bhrugu Buxipatra said TDP participation will have no impact on the Odisha politics. While the TDP has been preparing to field candidates in the southern region of the state, the All India Trinamool Congress (TMC) led by West Bengal Chief Minister Mamata Banerjee has already announced that the party will participate in the Odisha elections. The Jharkhand Mukti Morcha (JMM), led by Shibu Soren, is already a force in Mayurbhanj district in the northern region, source said.